IPL 2018 CSK vs DD live streaming will be provided on the web/app portals of official broadcasters of the tournament. You can watch live cricket match today online on Hotstar, Jio, and AirTel. Today’s game is the 30th of 60 games to be played in the entire course of the series. Before this match, the 2018 IPL points table is like this. Super Kings have won five out of seven matches and lost 2 and stands at #2 spot. While, Daredevils is ranked last, i.e., #8 in the standings table. The graph of Delhi is exactly opposite to that of Chennai. DD has won only two and lost five out of seven games. 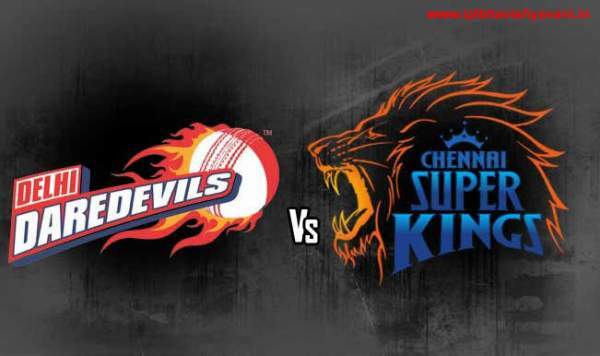 Today’s IPL T20 match of DD vs CSK will start at 8 pm IST with a gap of about 30 minutes. The toss will take place at 7:30 pm IST. This half an hour is given every time when a match is about to start. If you have access to the TV, then you switch to Star Sports 1 / HD and Star Sports Select 1 / HD channels for English commentary. If you want to catch the latest ball by ball updates, then switch to Star Sports 1 Hindi / HD. However, if you can watch it on TV, then you go for IPL online live stream at Hotstar.com, Hotstar app, Jio TV app, and AirTel live tv app. These are all available for smartphones and computers. Chennai will host this match at its new home ground – Maharashtra Cricket Association (MCA) stadium located in Pune. Delhi registered victory in its last game against Kolkata Knight Riders (KKR) under the newly-crowned captain Shreyas Iyer. Now, DD is going to play against one more formidable team – CSK on Monday. Delhi has left to fight just for its survival. On the other hand, #2 placed Chennai will play to get to the top position in the table. CSK lost its last match against Mumbai Indians (MI) on Saturday. Delhi is being coached by former Australian skipper Ricky Ponting. If DD wants to go in the next round of play, then it will have to win rest of the matches. Gautam Gambhir stepped down as DD’s captain after facing a loss spree. Let’s see how well and far the new captain will take the team.